Cover Reads: Peace On Earth - Having A President Who Is Smarter Than A 5Th Grader. 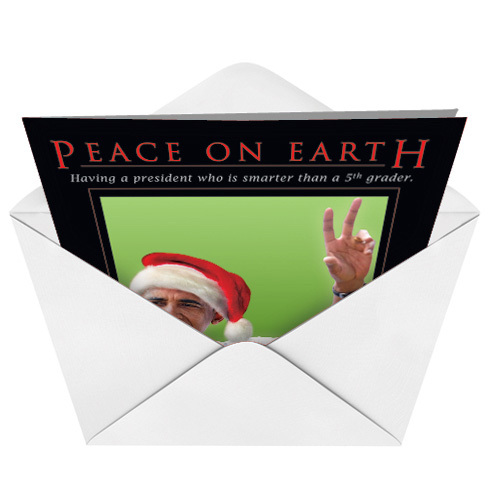 Inside Reads: Joy To The World! 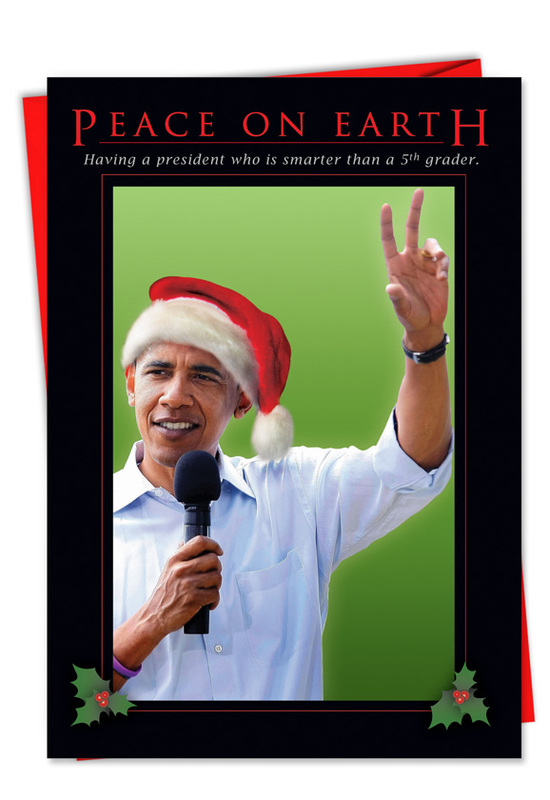 Nothing says Merry Christmas more than President Obama in a Santa hat! Get this Xmas card this season from NobleWorks!